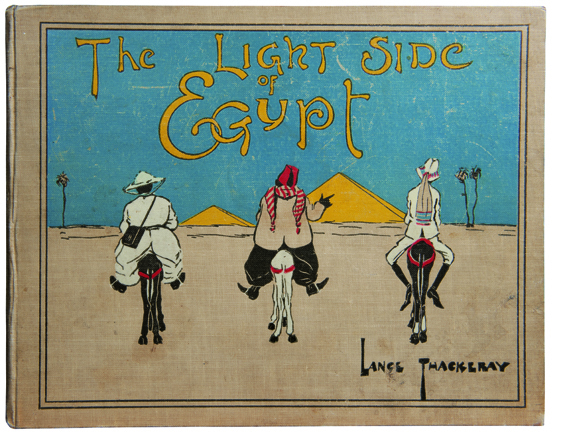 Of all the books I accumulated while researching Grand Hotels of Egypt (and, boy, did I accumulate some books), the desert island book – the one item you’d save from the wave that sweeps your library out to sea – is something called The Light Side of Egypt by Lance Thackeray. 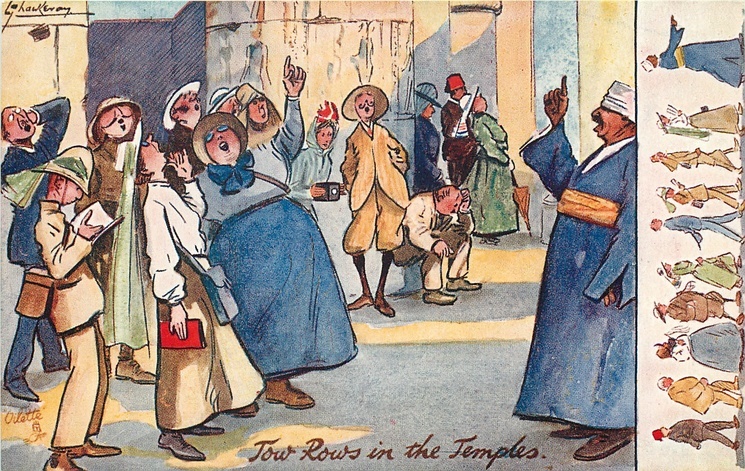 Published in 1908 it contains 36 painted plates, each with a single paragraph of commentary. 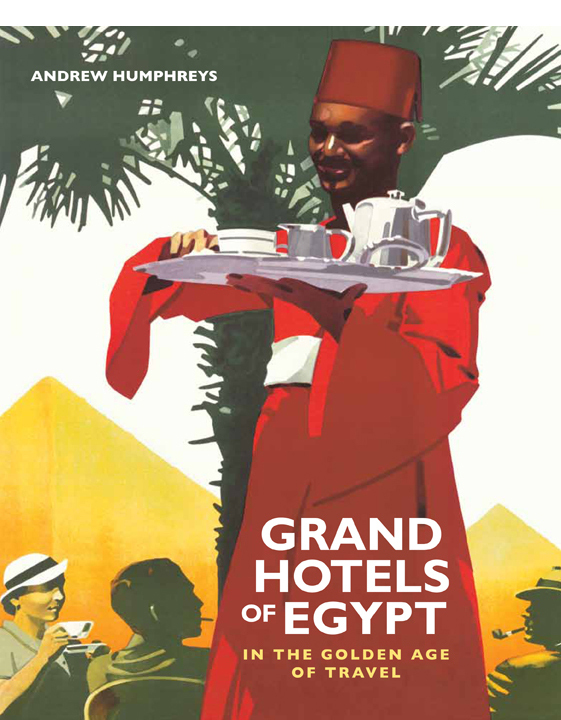 A big reason I’m fond of it is that the subject matter is the same as my book, which, despite the title, is not really hotels but the experiences of early(ish) travellers in Egypt. Another reason is that it makes me laugh. Thackeray was a satirical artist of immense, if never fully realised, talent. 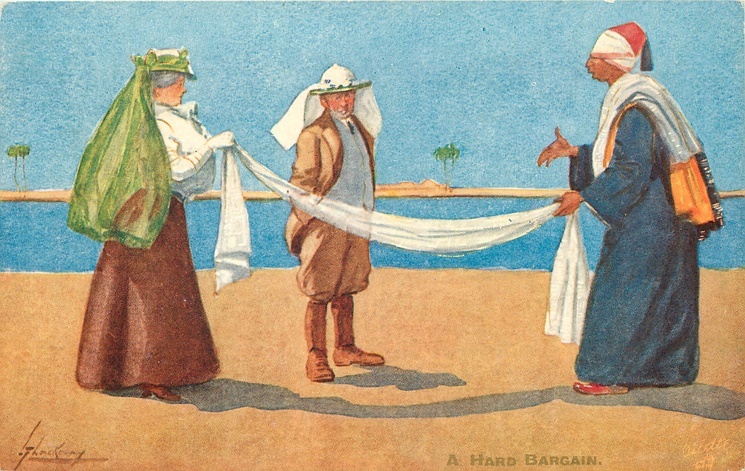 In England he made his living drawing for humorous postcards. He worked for a company called Raphael Tuck & Sons of London, producing his first postcard for them in 1900 and going on to dash out around 800 further designs over the next 15 years. He was a terrific draughtsman with a simple but beautiful line and a good eye for the comedic. His subjects were toffs in top hats on the town, gents at the snooker table, rotund cricketers, gangly beachgoers and manic enthusiasts indulging in the new-fangled fad of motoring. He gently poked fun at the lot, using his drawing skills to lampoon the mannerisms of Edwardian English Society. He drew for Punch and was a founder member of the London Sketch Club. 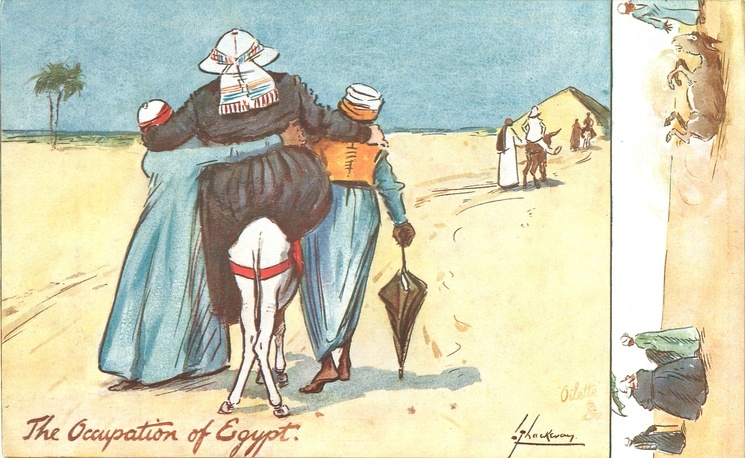 Whether on commission or on a whim, in 1906/07 Thackeray went out to Egypt. He was probably there for several months, accumulating enough material not just for The Light Side of Egypt but also for another book, The People of Egypt, which was published in 1910. 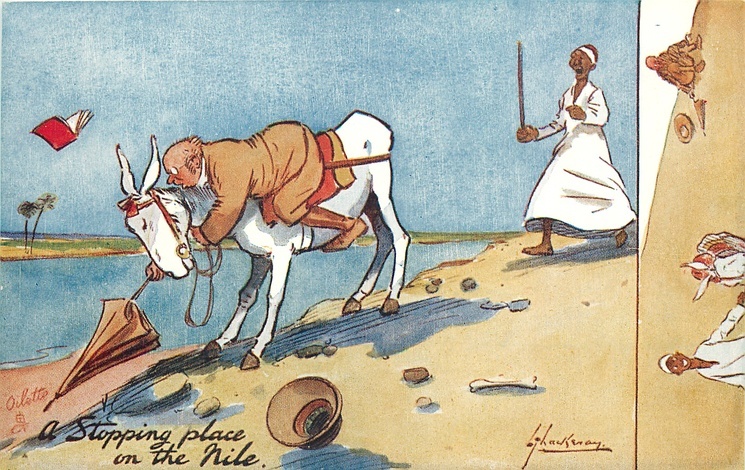 Unlike most artists who spent their time on the Nile sketching temples, mosques and desert scenery, Thackeray was more interested in observing his fellow travellers. 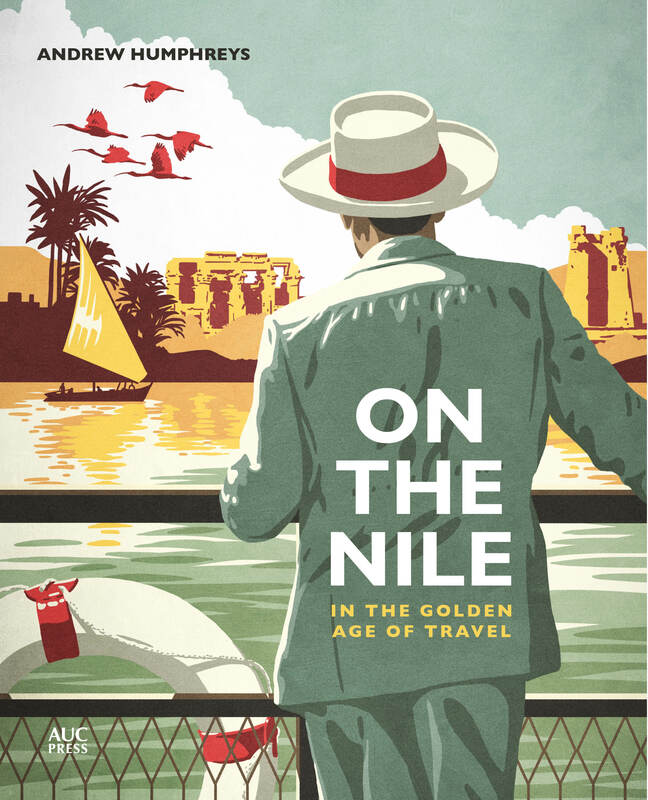 He drew them climbing pyramids, haggling in the souk, flirting on the hotel terrace and snoozing in the shade of pharaonic masonry. He also drew them looking foolish in their mounds of inappropriate clothing, laid out by the heat, outsmarted by local traders, and defeated by the willfullness of donkeys and camels. 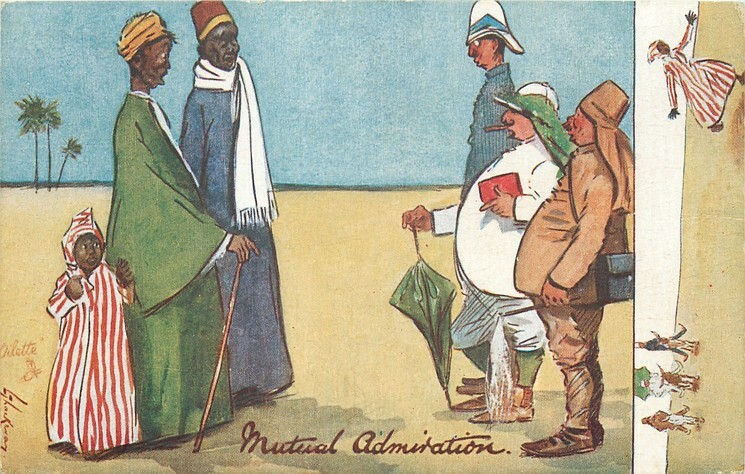 Most Western writers who visited Egypt at this time were at best condescending towards the country and its people, if not outright racist, but Thackeray saw the pomposity of the Westerner in Egypt and punctured it with his pencil. So who was Lance Thackeray? That I don’t really know. Public records offer a sort of biographical skeleton: he was born in 1867 in Darlington, County Durham, the fifth child of ten (five boys, five girls). His father was a railway porter and one of Lance’s first jobs was as a clerk for the railways. However, in 1897 he was making his living as an artist down in London with a studio at 169 Ebury Street – where he came by his training or the money to pay for London lodgings, I don’t know. In 1904 he spent two months in America, returning to take up lodgings in Notting Hill, where he lived for the next ten years. In November 1915, he signed up to join the British Army’s Artists’ Rifles Regiment 28th Battalion. He never saw action: he died on 10 August the following year in Brighton, age 52, of pernicious anemia. He never married (I have a suspicion he was gay) and the little money he left went to a sister. Beyond that, Lance is a bit of a mystery. His work is coveted by postcard collectors and his two books fetch good prices on antiquarian book sites, otherwise he’s forgotten. 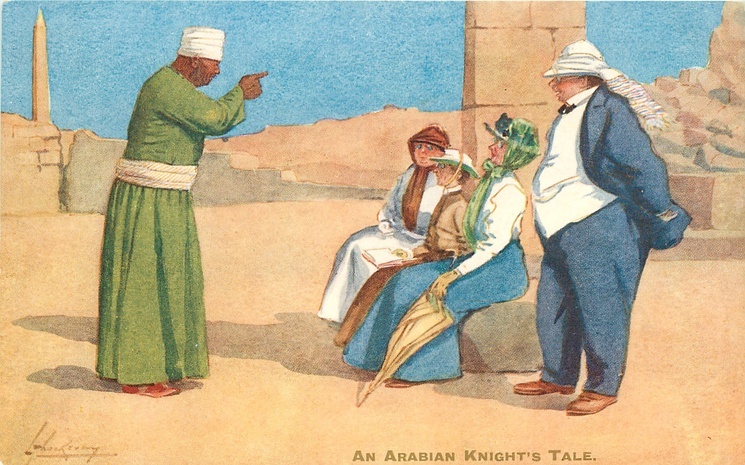 In the coming months I’ll be posting some of the plates from his books with commentary, but I’ll begin here with a bunch of postcards that resulted from his trip to Egypt. Meanwhile, if anyone knows anything about this favourite artist of mine, I’d love to hear from you. Bought your book. Excellent. Noticed one error: The SS Sudan was used for 1994 BBC Suchet “Death on the Nile”, not the 1978 Ustinov movie. That one was a smaller steamer called the SS Memnon. On Ustinov version DVD there is an extra section on the making of movie, including outfitting the Memnon, which is no longer in service. Peter, thanks for that. Have you any idea what happened to the Memnon after it was retired from service? I am a picture collector living in London. 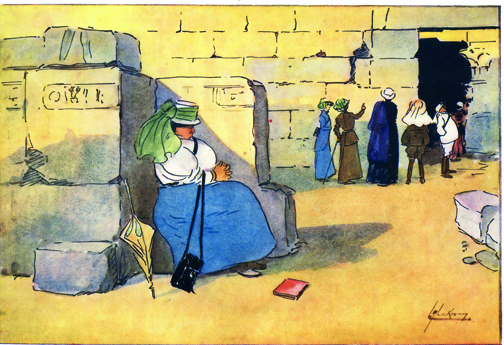 I have, in my collection a watercolor by Thackeray done in Egypt in 1913. The label on the reverse refers to this picture being given to Ben Boothy by Major General H W Gray, who apparently was Thackeray’s executor. Thank you so much for getting in touch with me. I am fascinated by Lance’s work and would love to hear anything at all about his descendants. Please do share anything you know. I’ve been trawling through old documentation from a relative of mine which refers to Mr Thackeray as a friend of her father’s. He is described as a “ladies man”, so unlikely to have been gay. Happy to send a copy of the letter if of interest. Thank you Andrew for the pictures of my great grand uncle. There are relatives of Lance in Idaho, California, Washington and Colorado. I found reference to this book on the web “Lance Thackeray : His Life and Art by Tom Askey (2013)” but I haven’t been able find it. Derek Joynes, please email me! I’ve just started to look for my family history on the Thackeray side. The Australians are a total mystery! Please email me. I am writing a biography of Lance Thackeray, and have done a lot of research into his life and work, and also his early life and family background. His sister Lena was his executor. 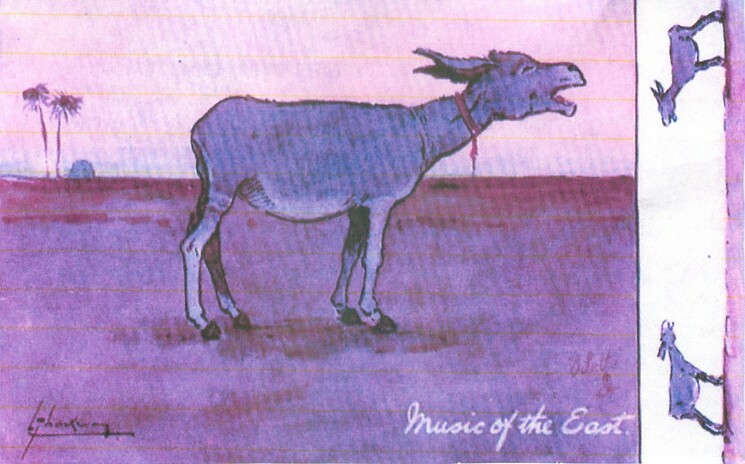 I would greatly like to see a scan of the water colour – I am very interested in his art beyond the postcard designs. I am really interested in this artist. I purchased some prints a couple of years ago and wanted to know about his life. Wiki is very sparse , please celebrate the life of this artist and tell his story. I am one on his brother Thomas’ great grandchildren in the U.S. I have a collection of Lances postcards, books and an original pen and ink. Learned about him while doing genealogy work. Ive been in contact with you from genealogical reasearch and hope all is well.